Looking for something different, sharp looking, fun, or useful that you can give to your business client and referral partners? Item can be blank or debossed with your logo or slogan. 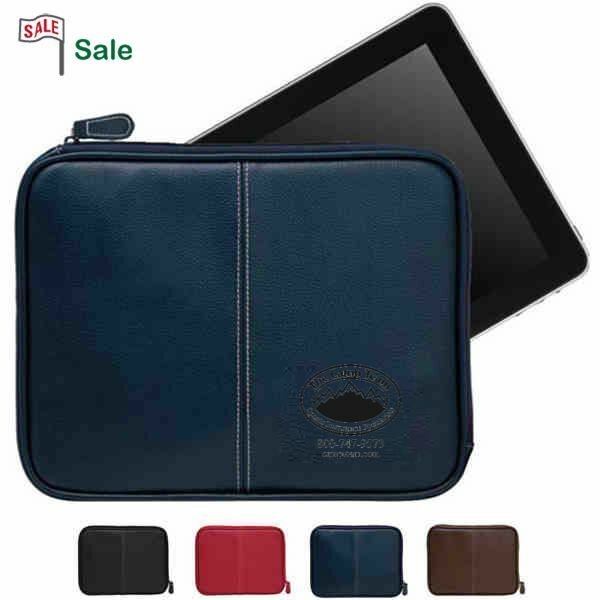 Lamis tablet case is 11″ x 8.5″ x 1″ with a zipper closure. Good to hand out to business referrals or at a tradeshow. Minimum is 50 at 8.09 ea, 100 at 7.47 ea or 250 or more at 6.93 ea. Set up is 55.00. Imprint area is 3″ x 2″ in the bottom right corner. These look like they cost way more than they actually do. Do you do tradeshows or events and want to stand out? You need a banner at your booth if you do a tradeshow. 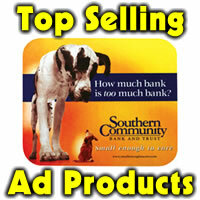 A full color vinyl banner makes you look professional and can grab the passerby’s attention. With grommeted top and bottom edges, banners are custom made to your size. Durable, legible, colorful, they can be the reason people stop or walk on by. Capture the attendees attention by having a professional look to your booth. The banner along with some interesting or tasty handout (chocolates or mints work well) can get noticed and increase traffic and interest in your booth and your product or services offered. On sale through February 14, 2010 for 3.00/sq ft. Tax and shipping add’l. Order your banner today and make it a banner year!